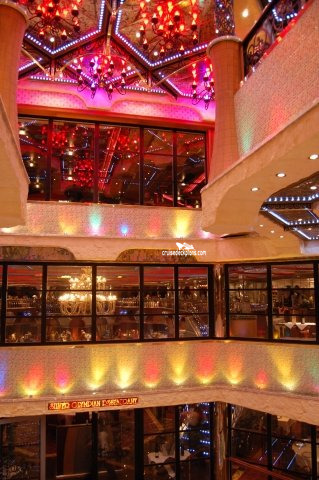 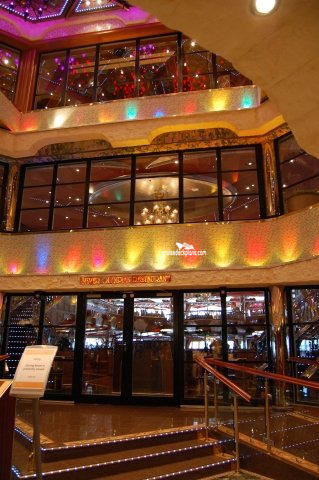 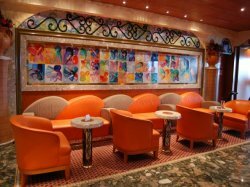 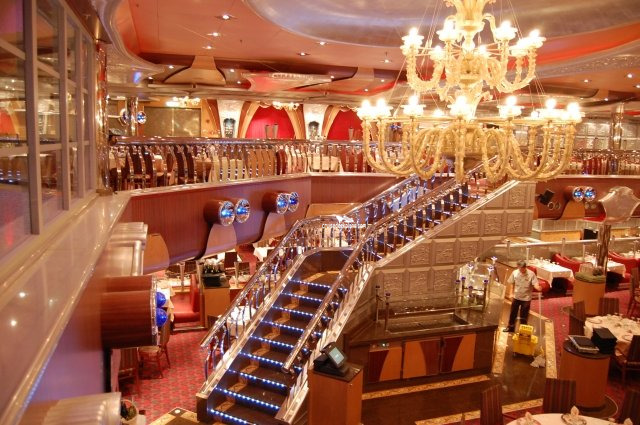 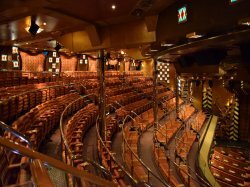 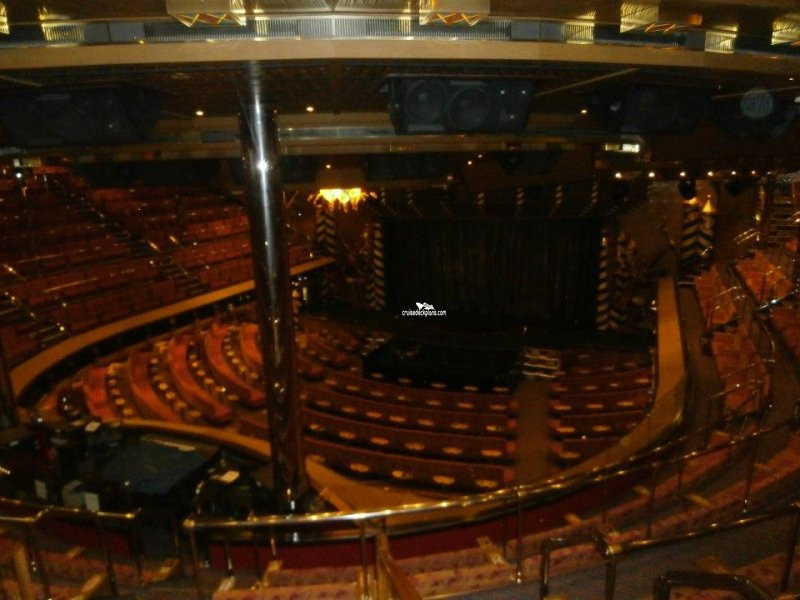 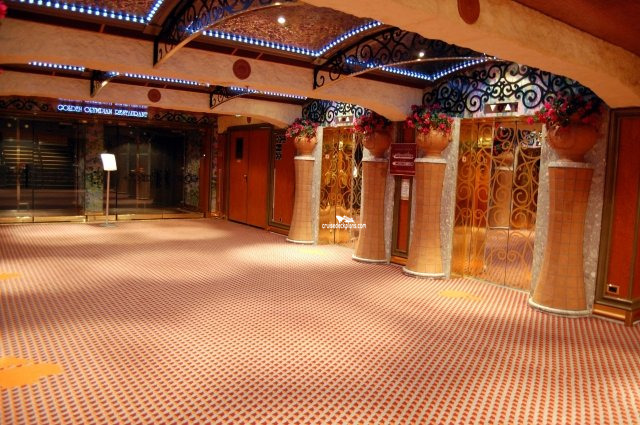 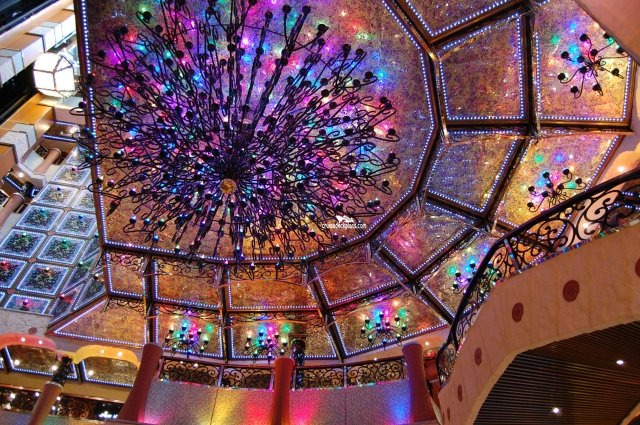 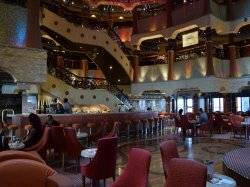 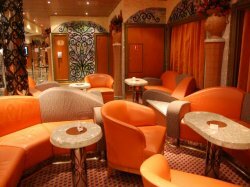 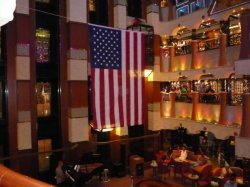 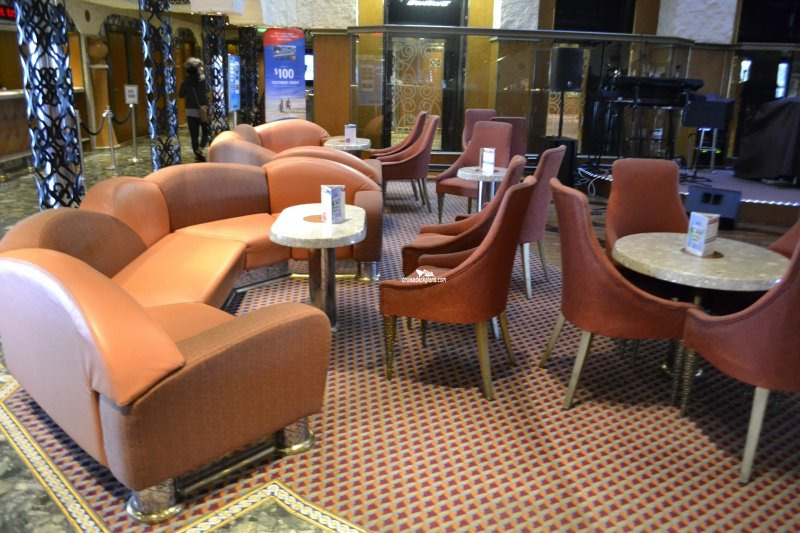 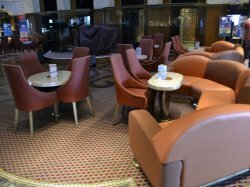 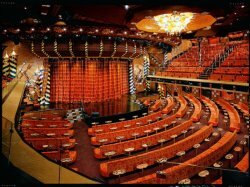 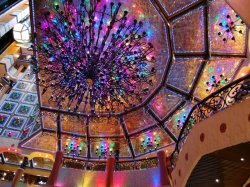 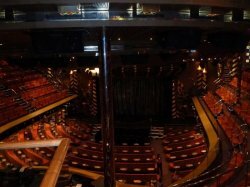 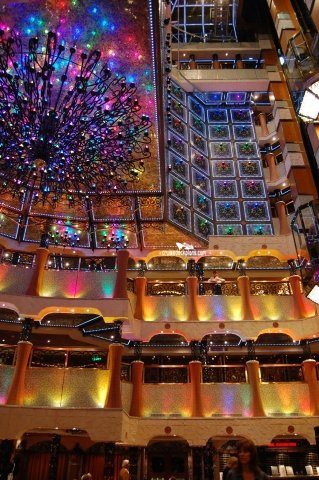 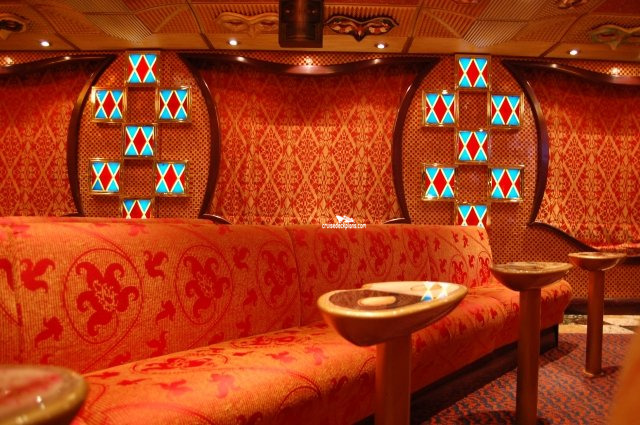 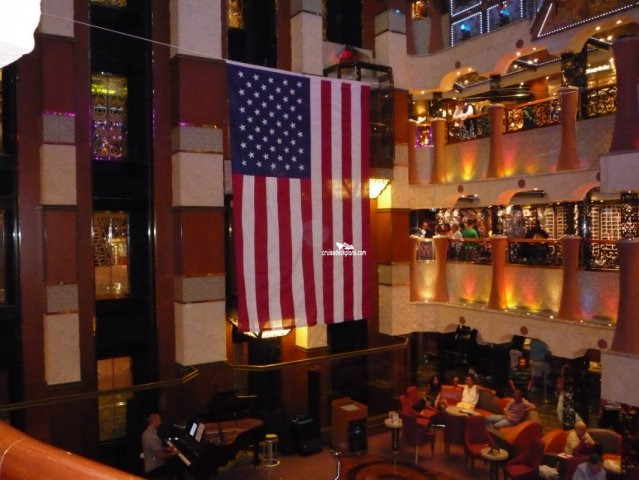 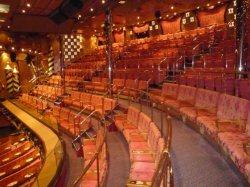 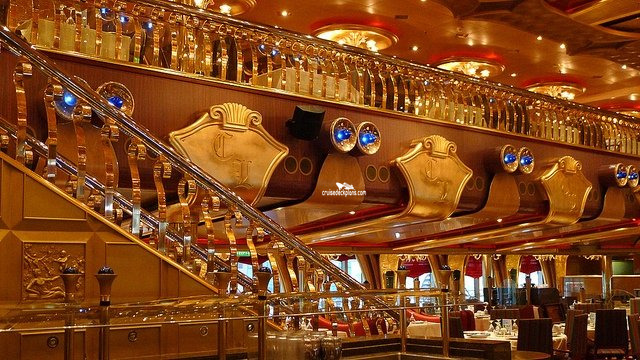 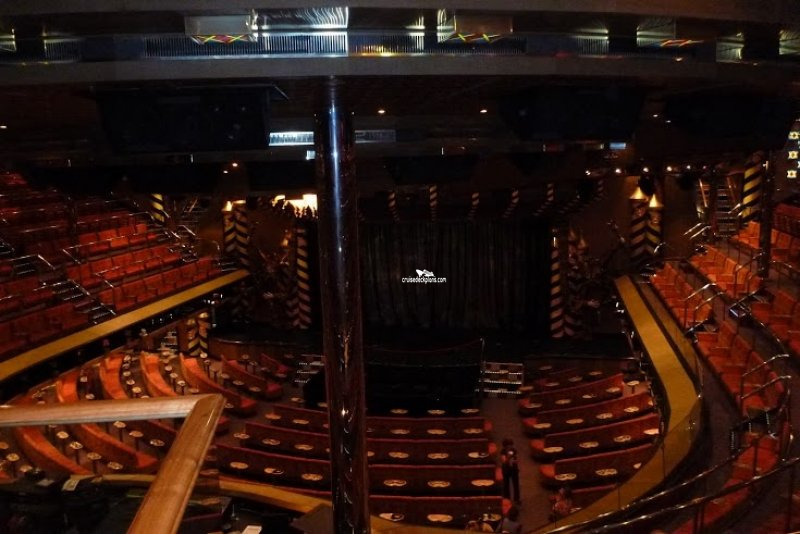 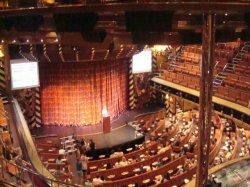 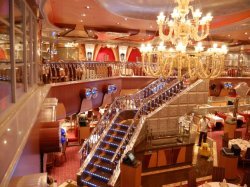 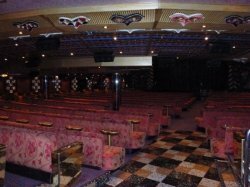 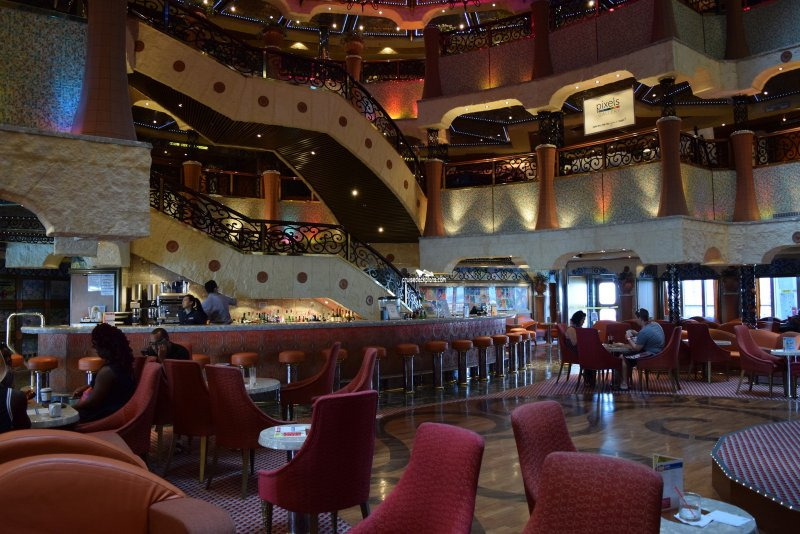 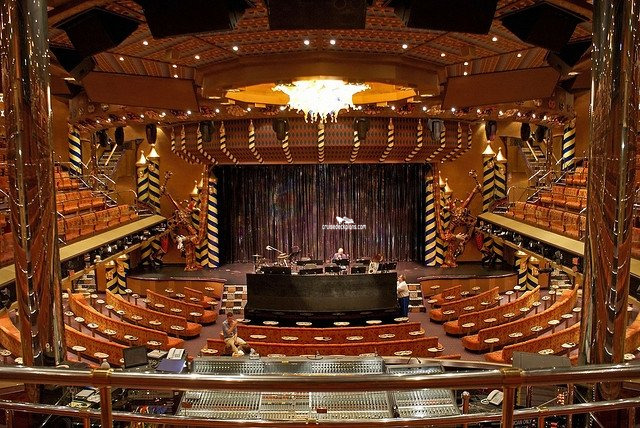 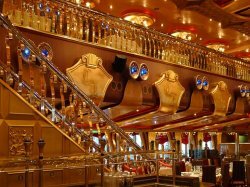 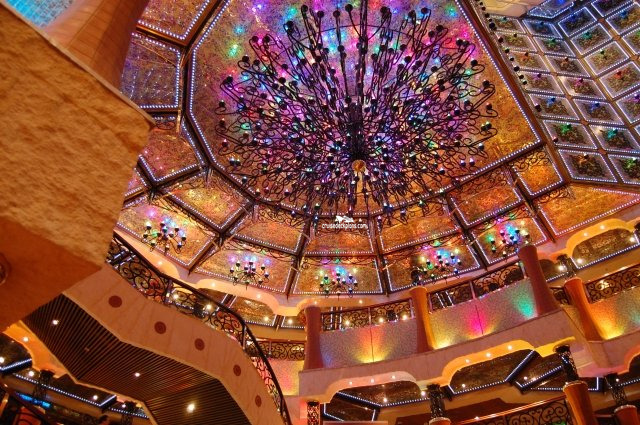 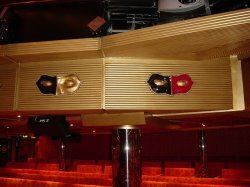 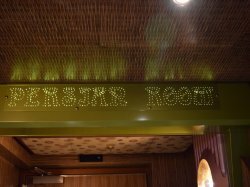 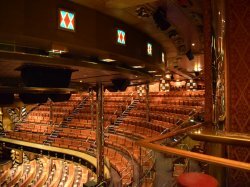 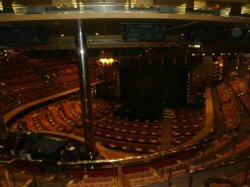 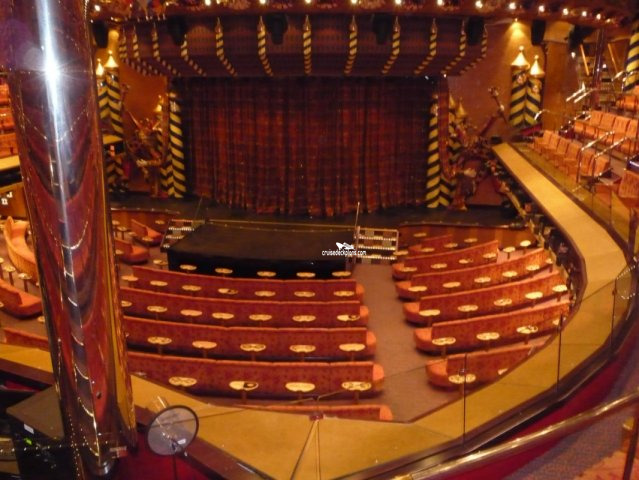 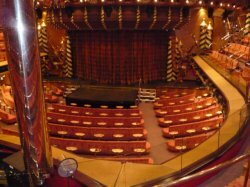 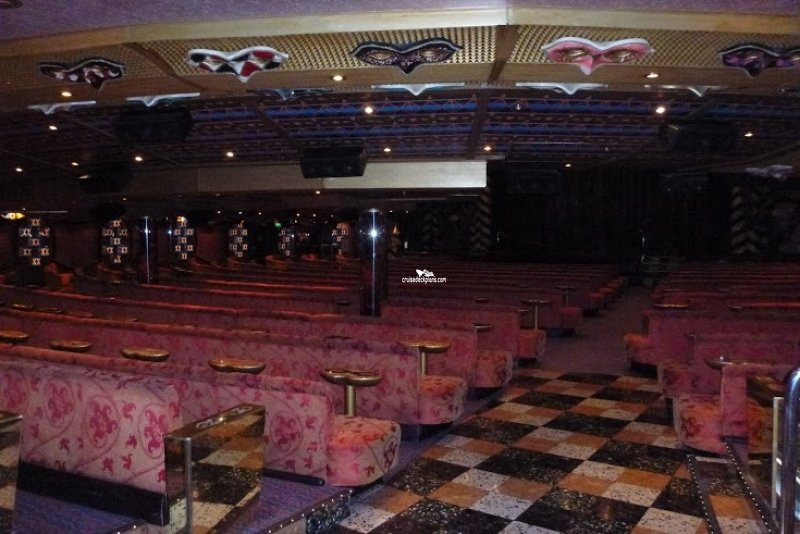 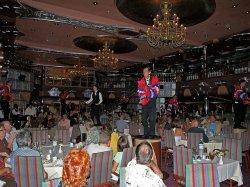 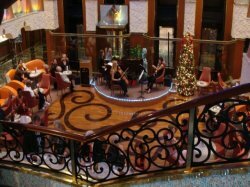 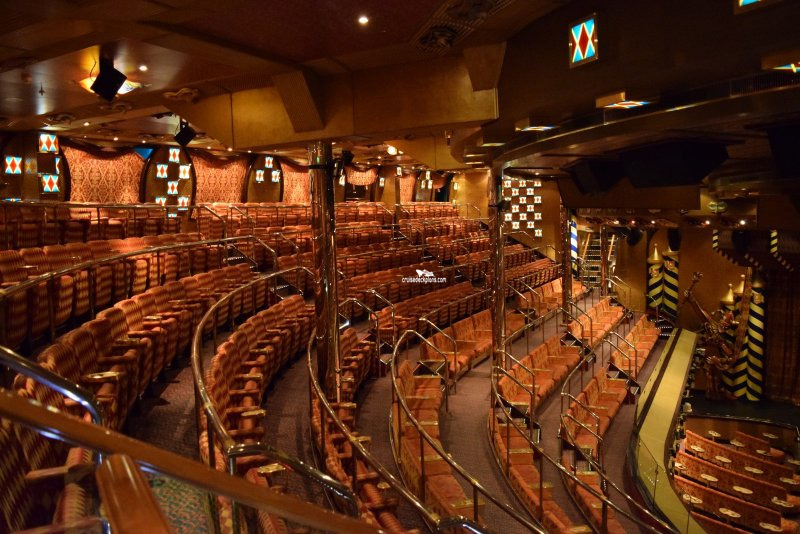 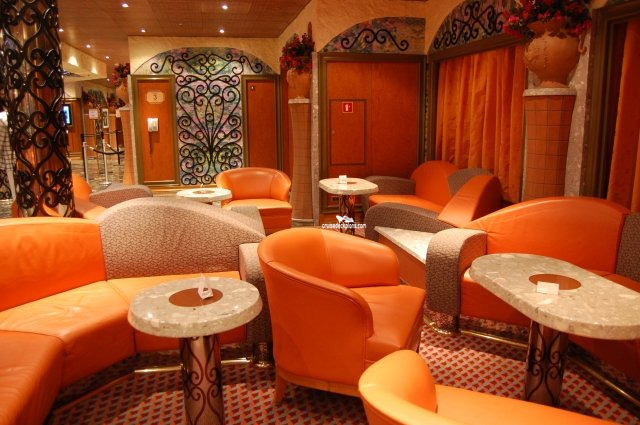 The ship's main 3 level show lounge with a seating capacity of 1400. 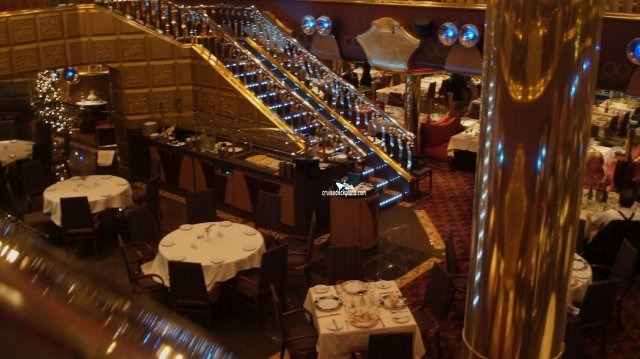 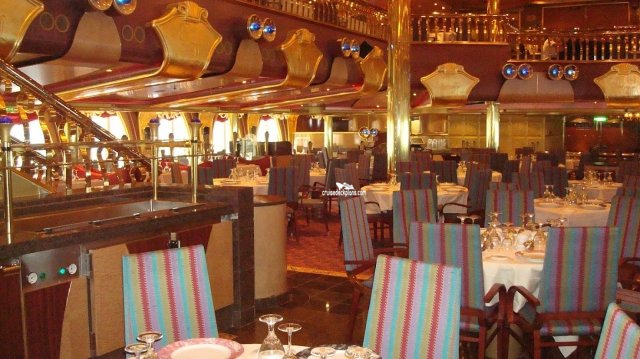 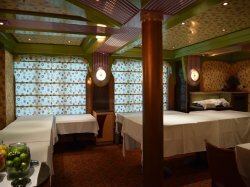 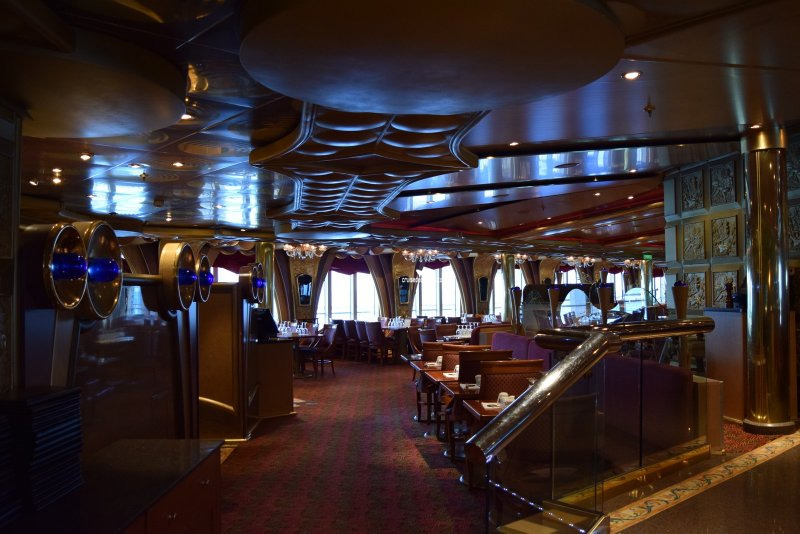 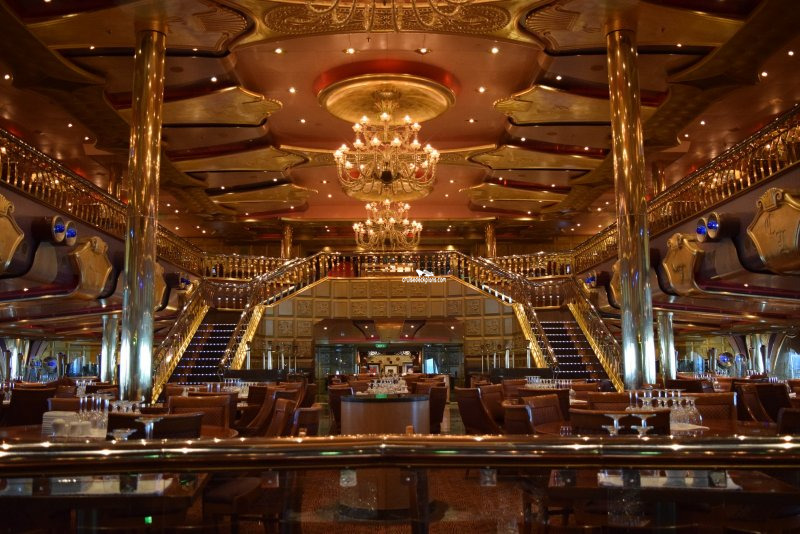 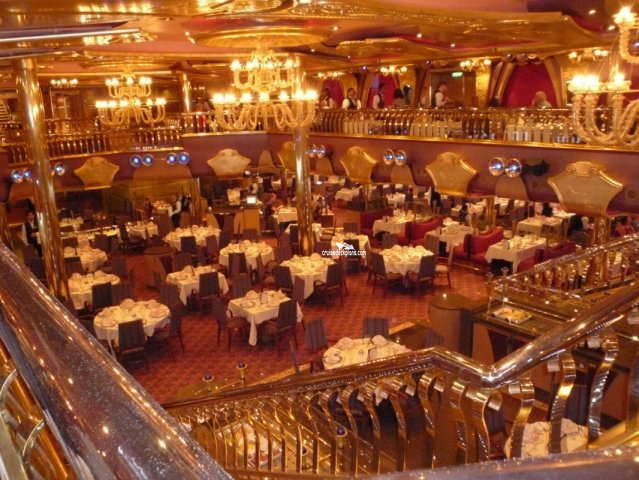 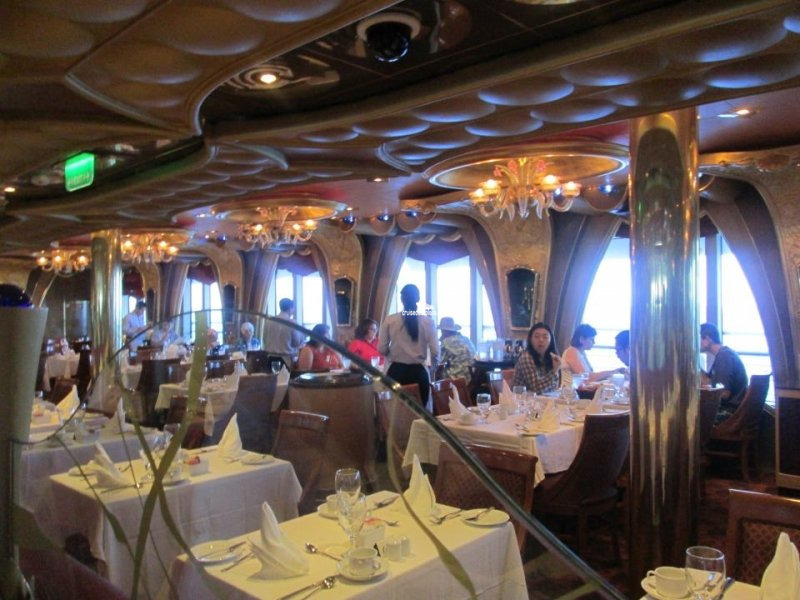 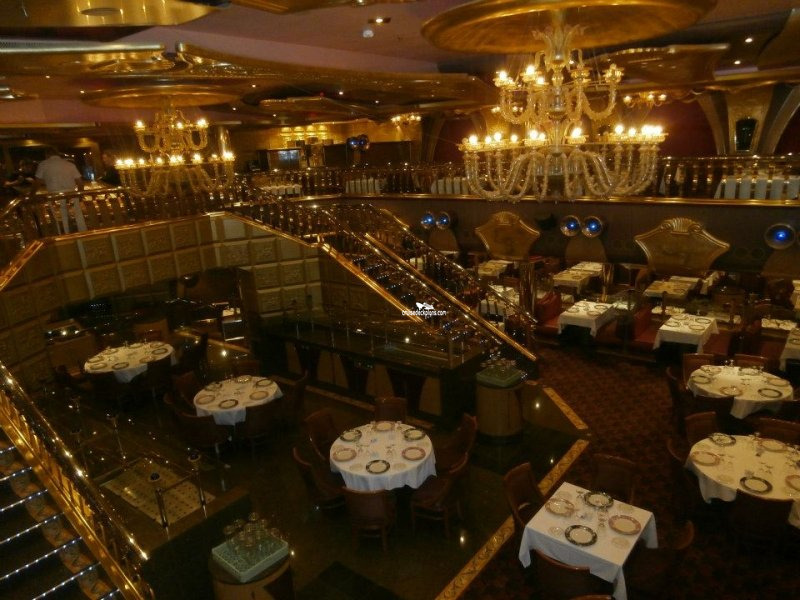 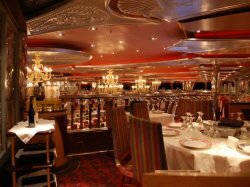 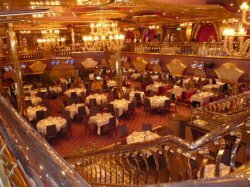 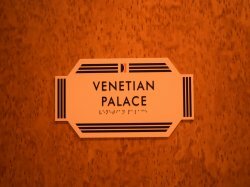 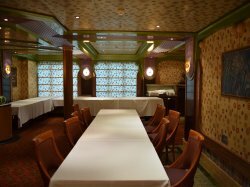 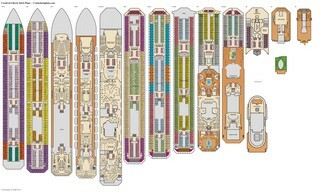 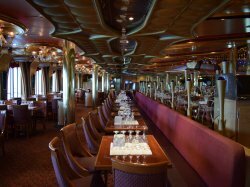 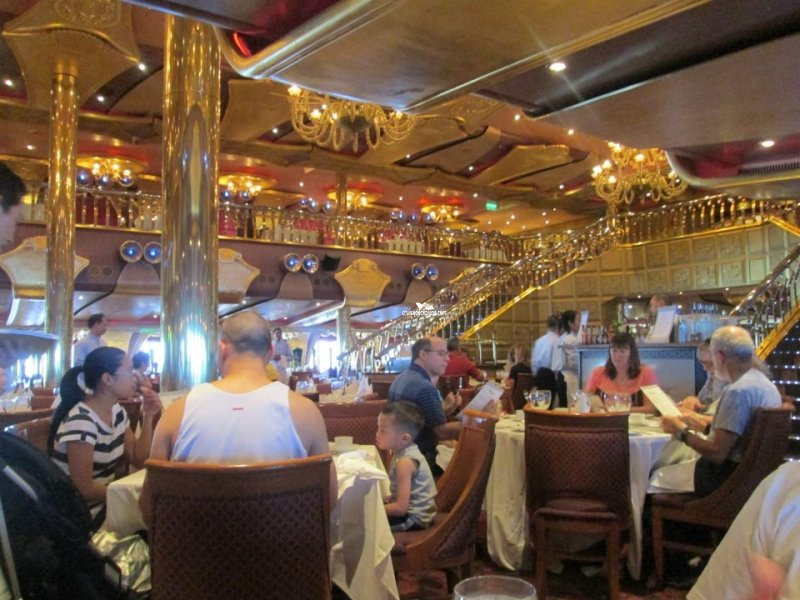 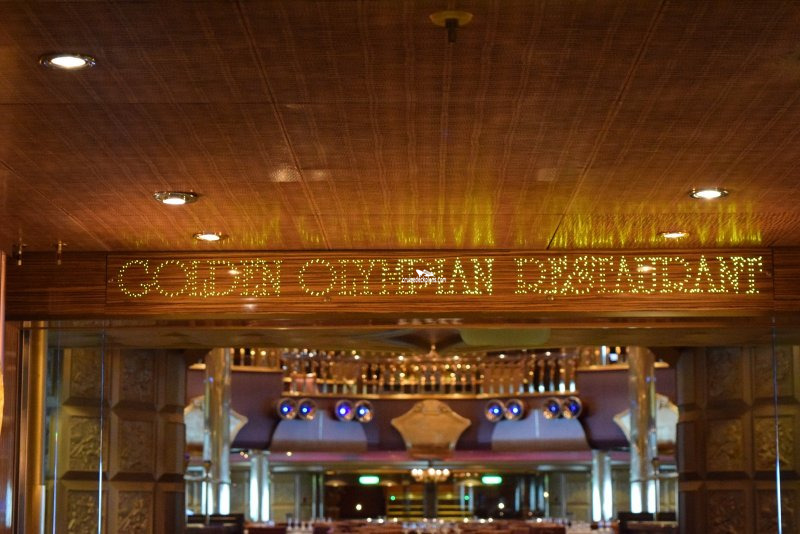 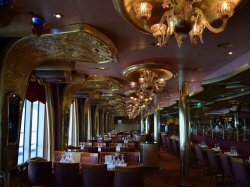 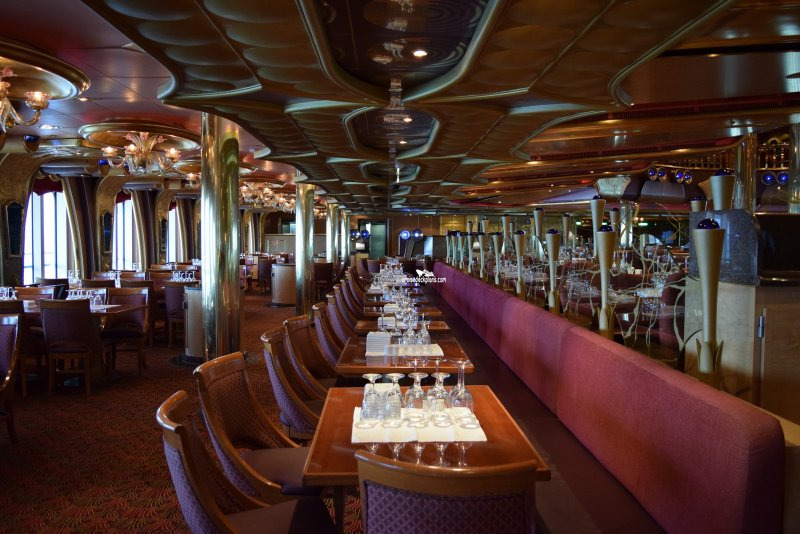 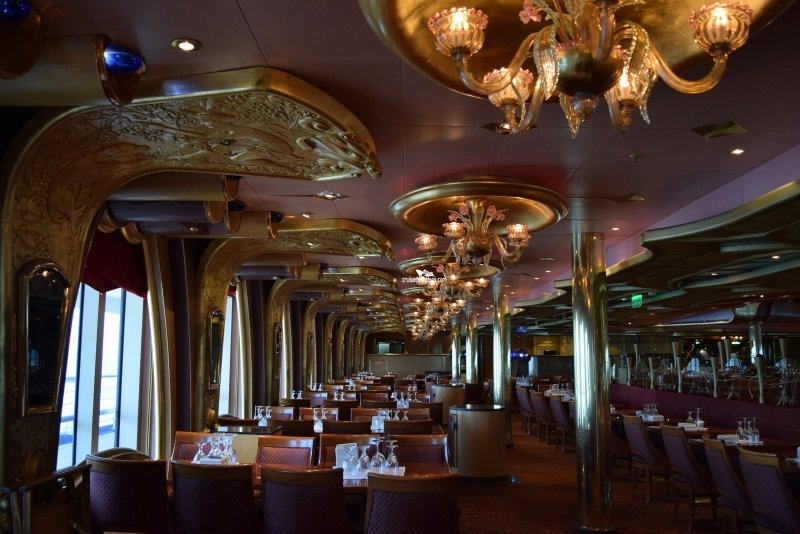 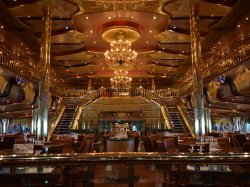 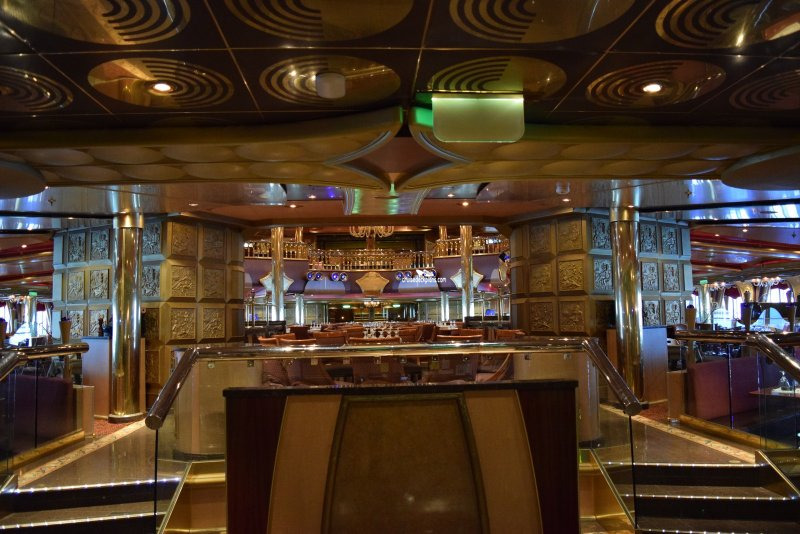 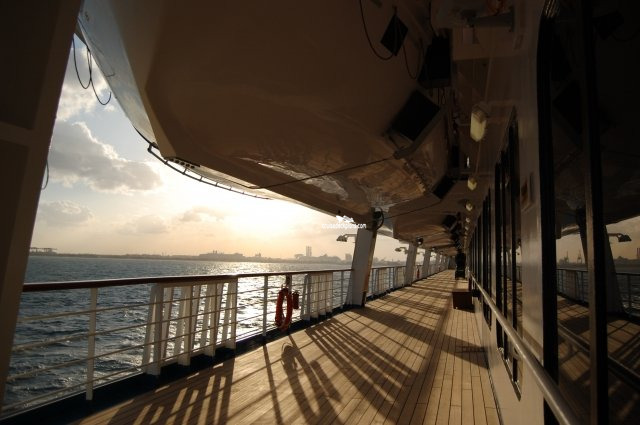 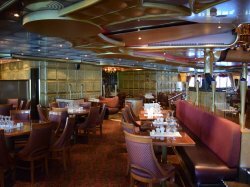 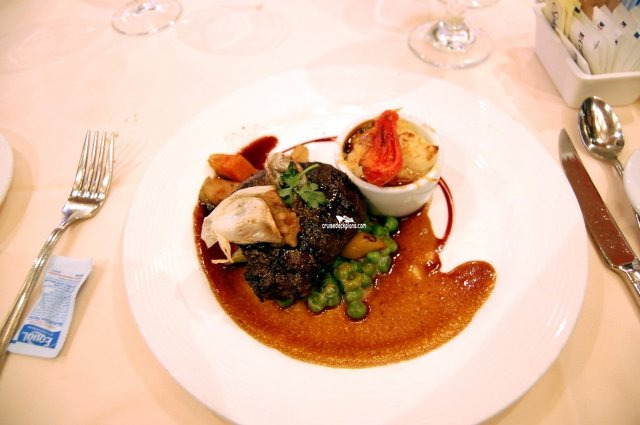 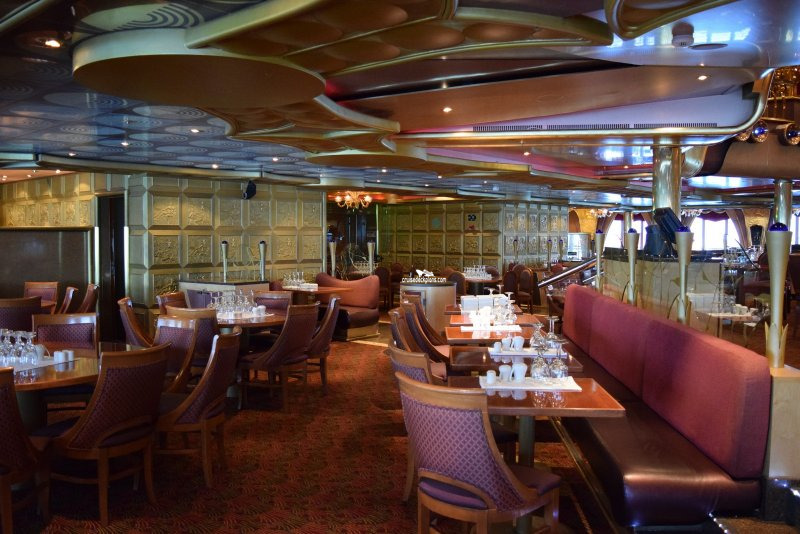 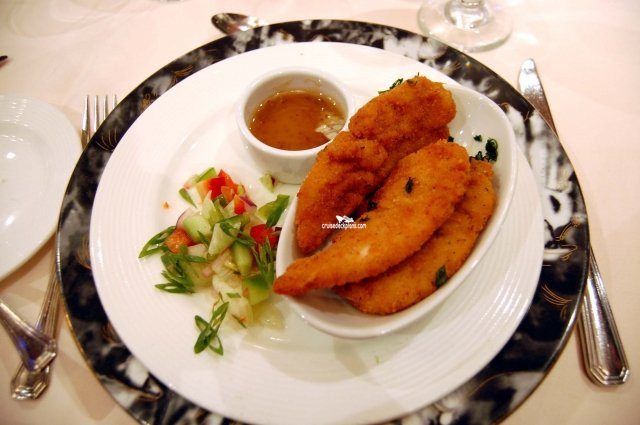 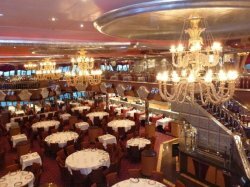 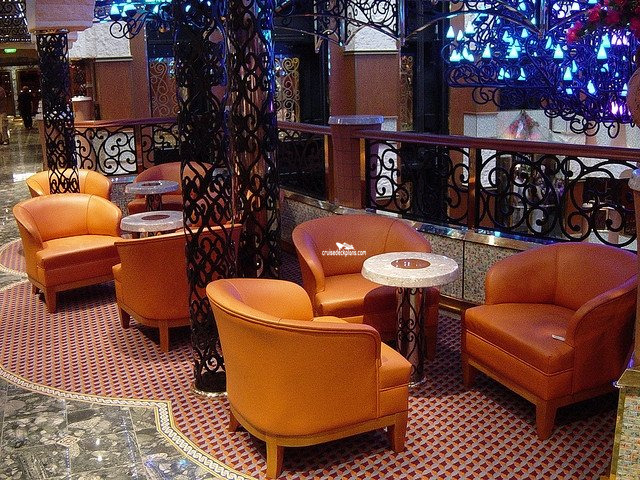 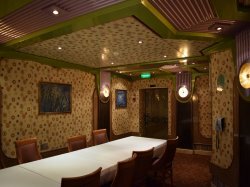 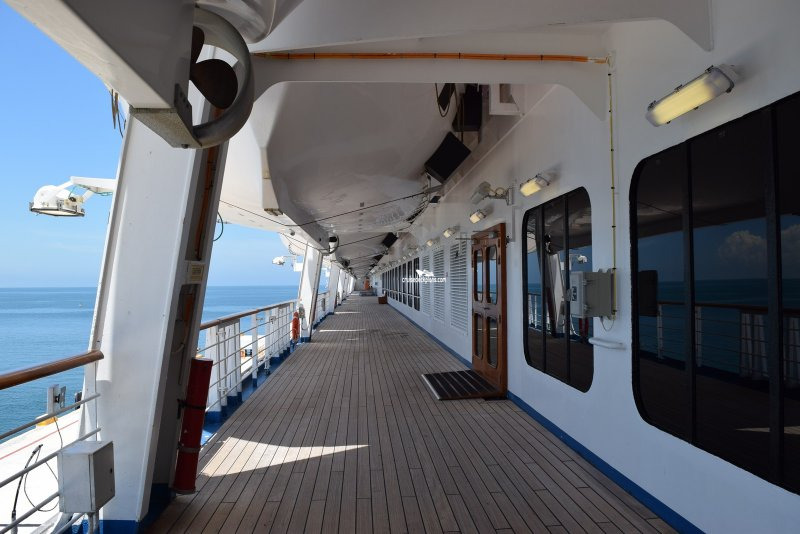 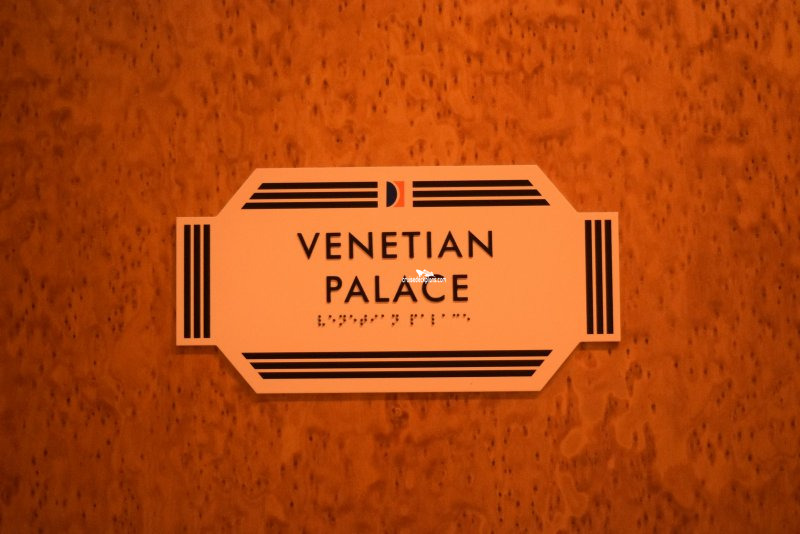 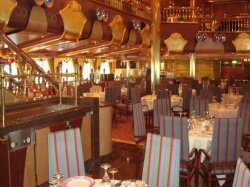 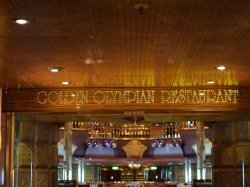 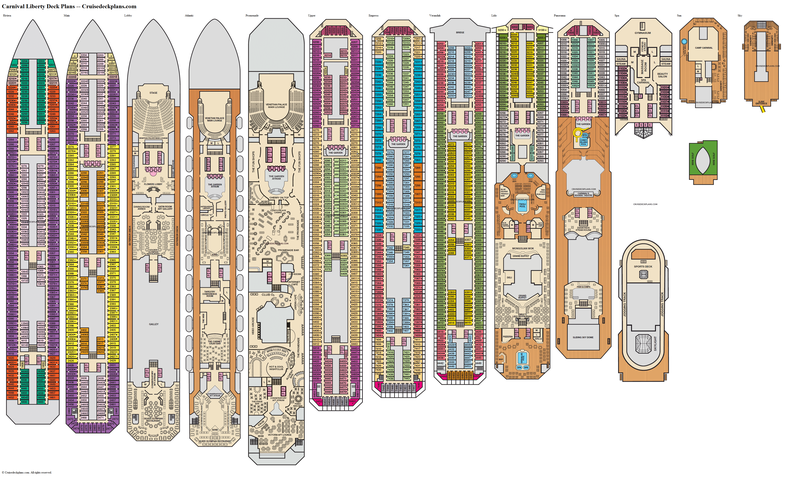 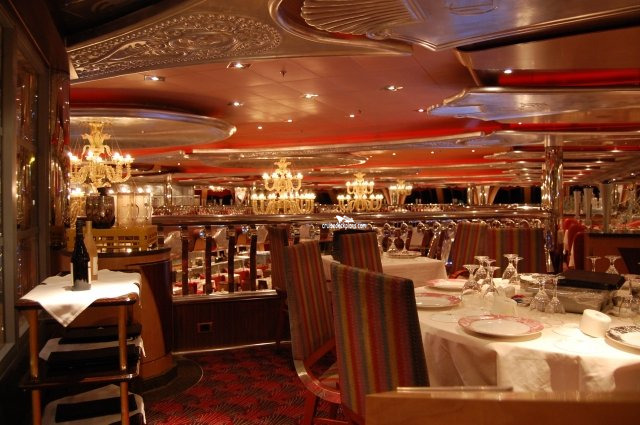 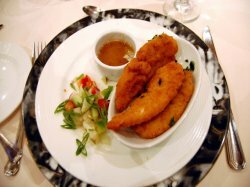 The larger of the ship's split level formal dining rooms with a seating capacity of 1122. 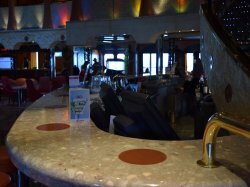 Serves drinks along with live music. 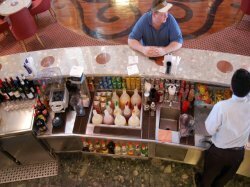 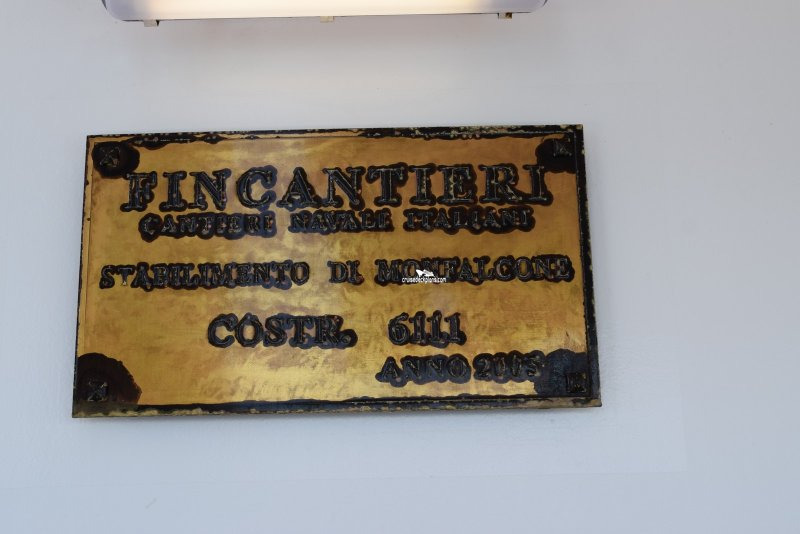 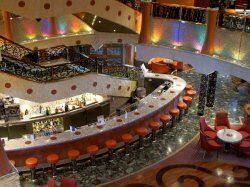 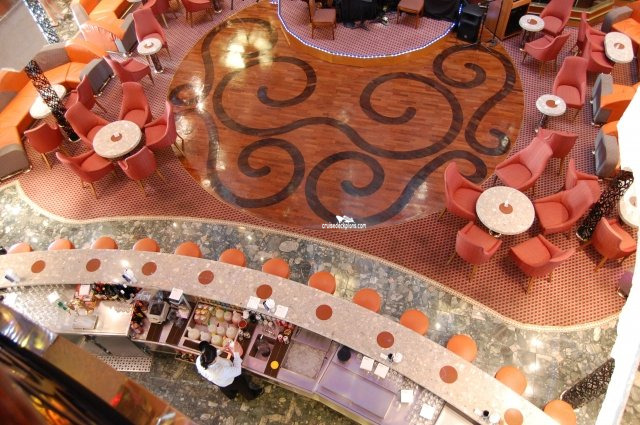 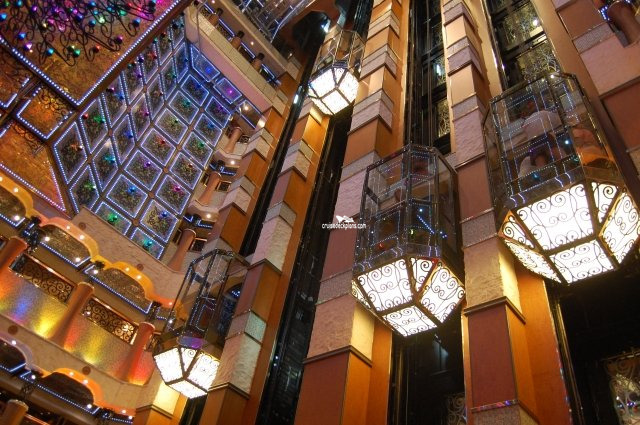 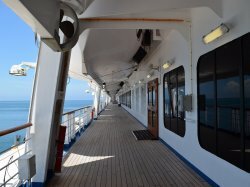 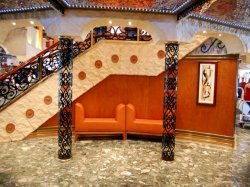 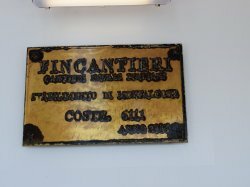 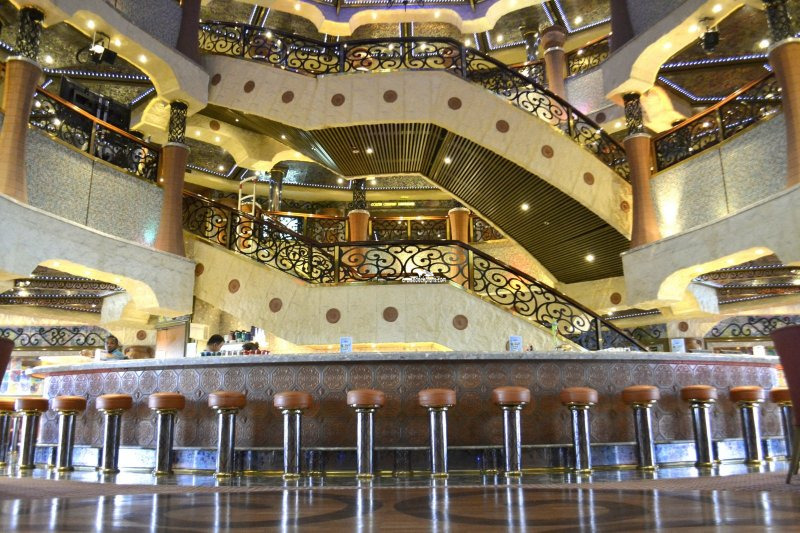 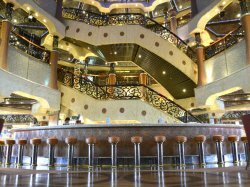 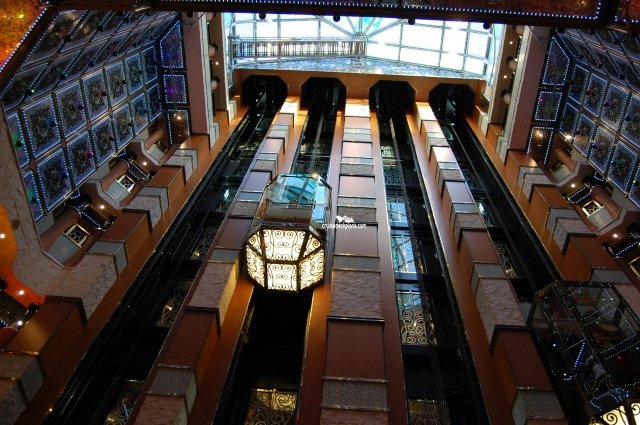 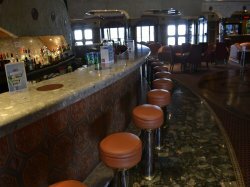 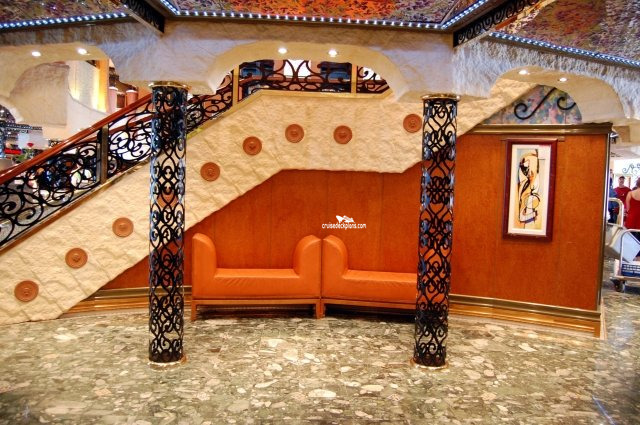 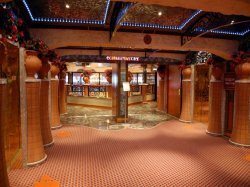 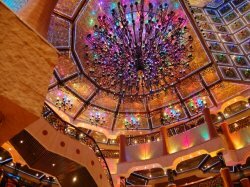 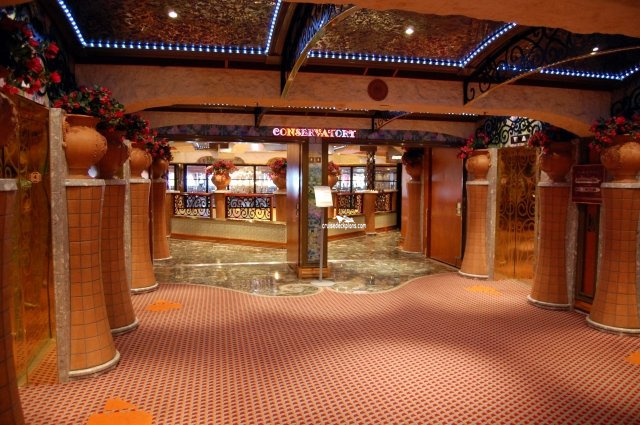 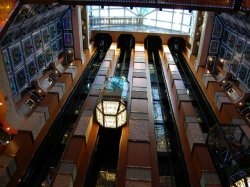 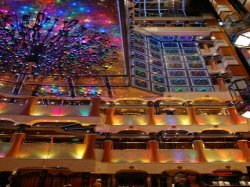 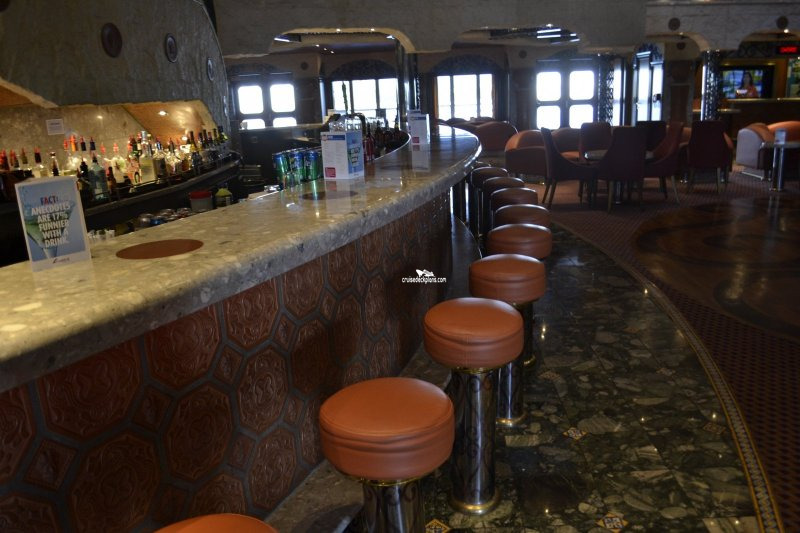 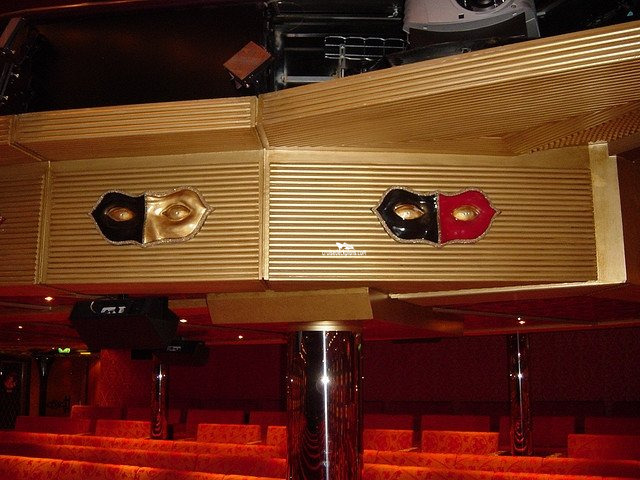 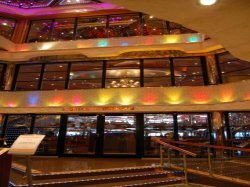 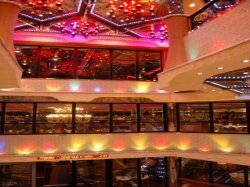 Ships atrium with guest services desk, shore excursion desk, large bar and seating.